Whether you’re hosting an Easter brunch or organizing an Easter egg hunt at your home, these Easter home decor ideas incorporating pastel trends are sure to brighten your holiday! It’s officially spring, and I could not be happier! Every year when spring finally comes and the nights stay lighter longer, it makes me so happy! From all of the sunshine and flowers to picnics, baseball games, and brunch, I am ALL about this season! And what’s more, this season also brightens my mood because I have so many joyful memories around Easter! Easter has always been one of my favorite holidays, and I am SO excited to pass on traditions to Charlie and Claire as they grow up. But celebrating Easter doesn’t have to be all elaborately decorated tablescapes for brunch. 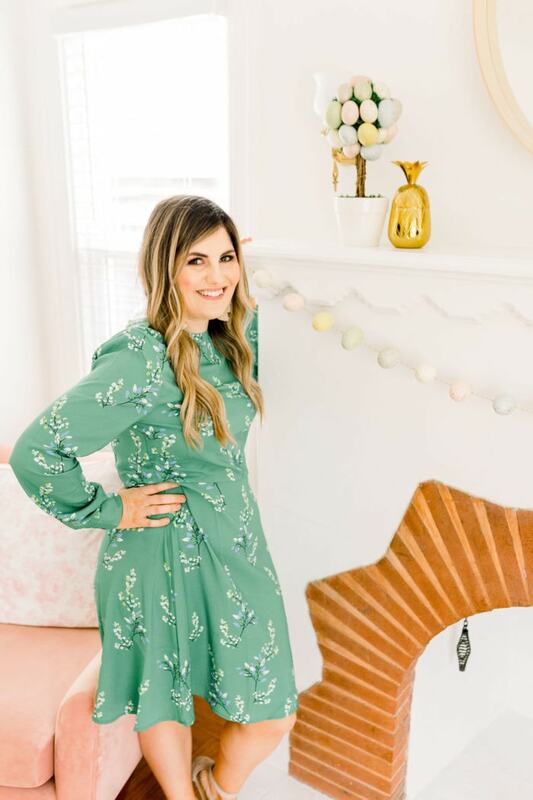 There are simple ways to incorporate pastel Easter season trends to really make your home shine! I always try to celebrate in simple ways. 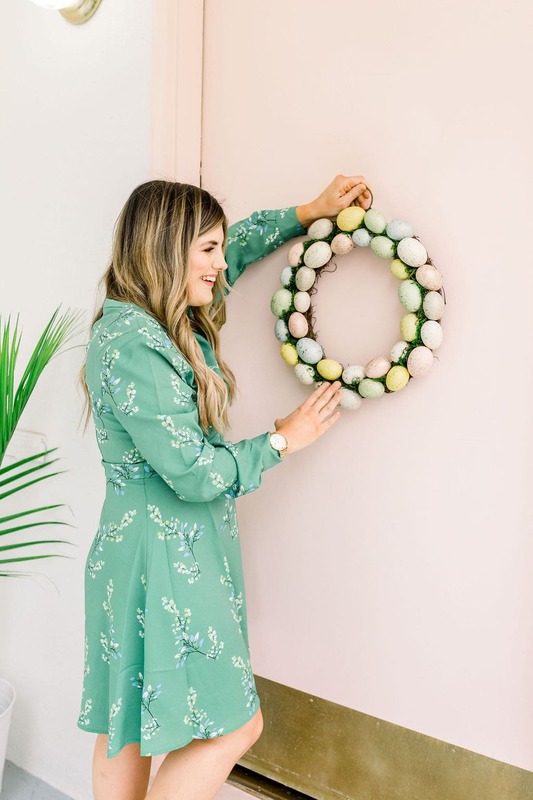 So when it comes to Easter decorations, they usually consist of beautiful pastels incorporated all throughout the house in easily attainable ways. Pastel colors are timeless and totally in season this time of year. So when I go shopping for decorations, I’m always on the hunt for a bargain that can brighten up our Easter Sunday! 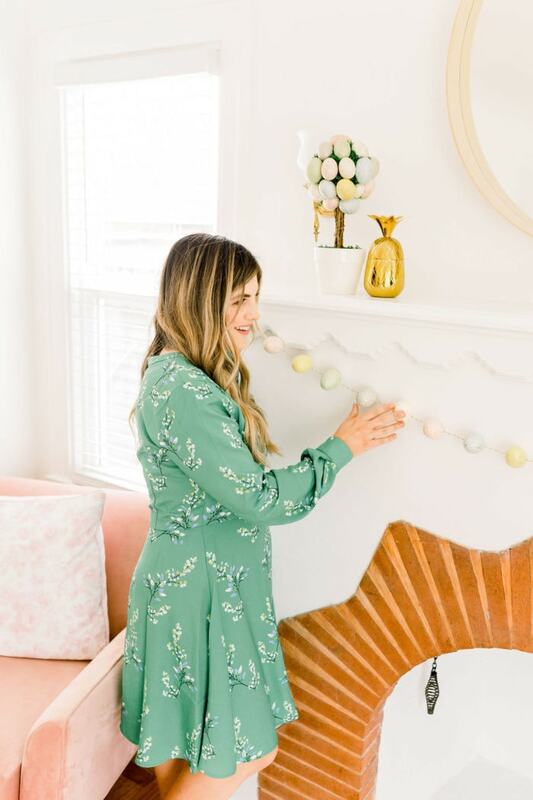 When it comes to putting together a few simple decorations for Easter, I always put it on my list early on in the year to plan ahead! One major tip for shopping for holiday decor: always plan to shop 6 weeks prior to the holiday. Often, things can sell out so quickly, and you’ll be hunting for that perfect pastel piece! The pieces I used to put together our Easter decorations this year are from Target’s home decor line, and I’ve seen multiple pieces sell out in stores. Adding a few simple pastel touches to your home just in time for Easter is so easily attainable! It doesn’t have to be elaborate. I was so excited to find a few ideas at Target that didn’t break the bank. I incorporated this Easter Egg Topiary as a simple decoration for the mantle. You could even add this Easter Bouquet to your dining table! Small, quick additions will make all the difference! 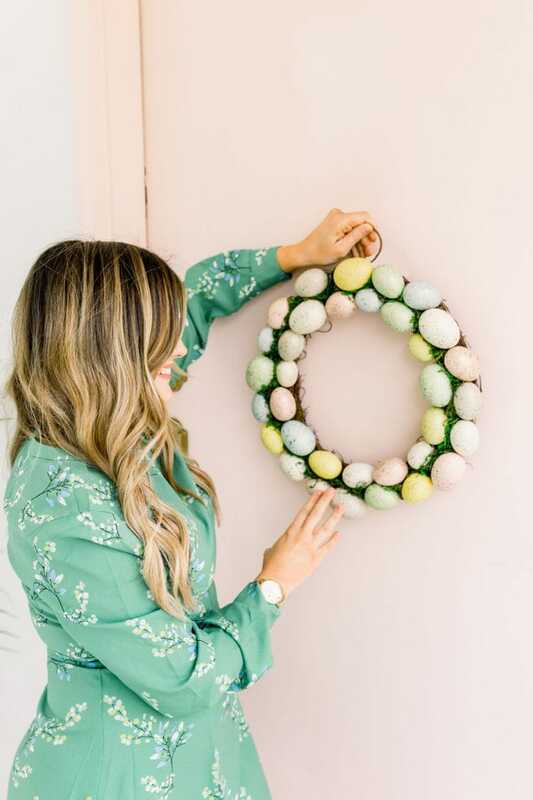 This Easter Egg Wreath has to be one of my absolute favorite finds recently. 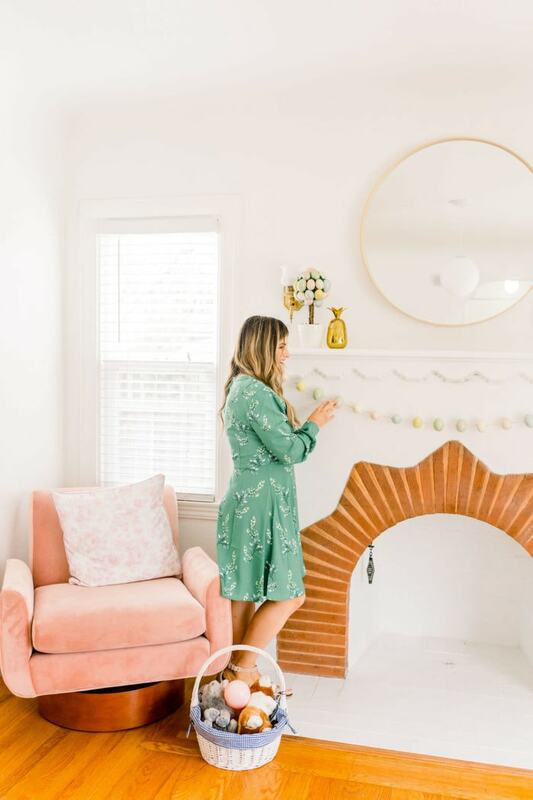 What a fun way to incorporate the gorgeous, pastel colors of Easter, while inviting your guests inside right from the door. Plus, it’s less than $20. You know how much I love a good deal that can truly make a holiday brighter! As Easter is just a few weeks away, remember, that it doesn’t have to be crazy and elaborate! Celebrating holidays, and celebrating the every day is absolutely attainable in simple ways! Find a few fun pastel pieces to decorate your home, and you’re sure to brighten your day, as well as everyone else’s day around you! What are your plans for celebrating this Easter? I hope it is filled with wonderful memories for years to come! Let me know in the comments below. I can’t wait to hear all about it!